with this common cosmetic problem. and closer to the surface of the skin than varicose veins. tendency to occur in clusters makes them very visible and unsightly. In this rather simple procedure, veins are injected with a sclerosing solution, which causes them to collapse and fade from view. Although this procedure has been used in Europe for more than 50 years, it has only more recently become popular in the United States. 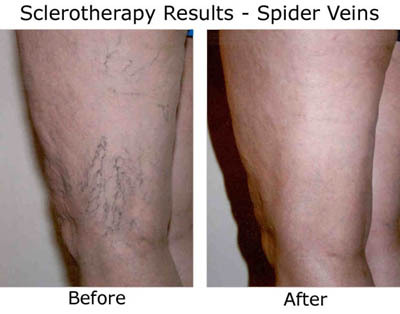 The introduction of sclerosing agents that are mild enough to be used in small veins has made sclerotherapy predictable and relatively painless. 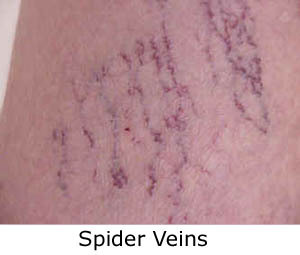 Extensive spider veins may require multiple treatments to achieve desirable results.